Are you brand new to the game or coming back after taking years off? Get Golf Ready is the program for you. Get Golf Ready is a program created by the PGA of America. Through extensive research by the Boston Consulting Group, the PGA has created a proven method to get you on the course and playing! It is an affordable way to learn the game for beginners. Through a series of 5 lessons, taught by our PGA Head Professional Chase Wells, you will learn the basics on putting, chipping, sand shots, full swing, and how to keep pace. Rental sets are provided free of charge. 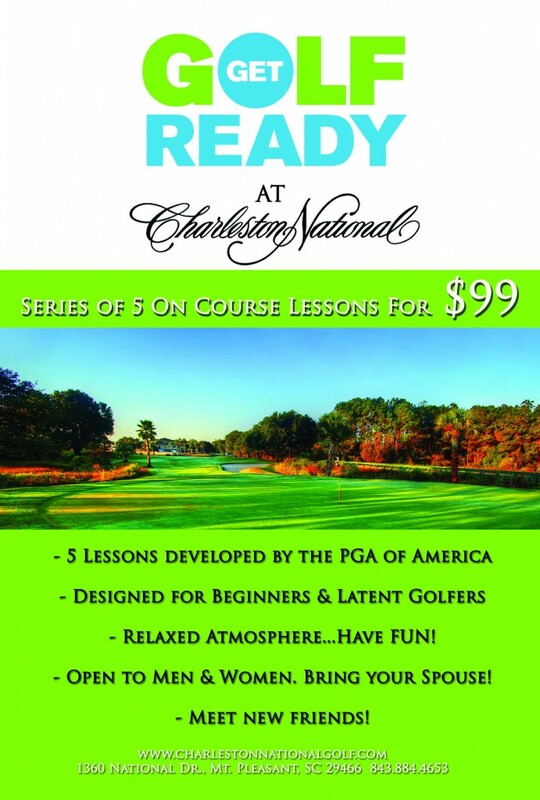 To sign up for a Get Golf Ready course at Charleston National please click HERE .